This article is specific to Business Email. If you have a different type of email, please see Office 365 Apple Mail instructions, or Workspace Apple Mail instructions. 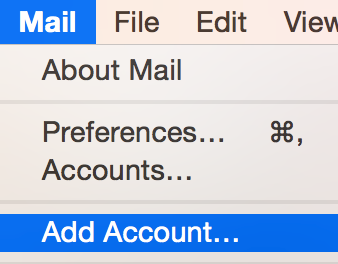 You can set up your Business Email in Apple® Mail on your Mac computer. 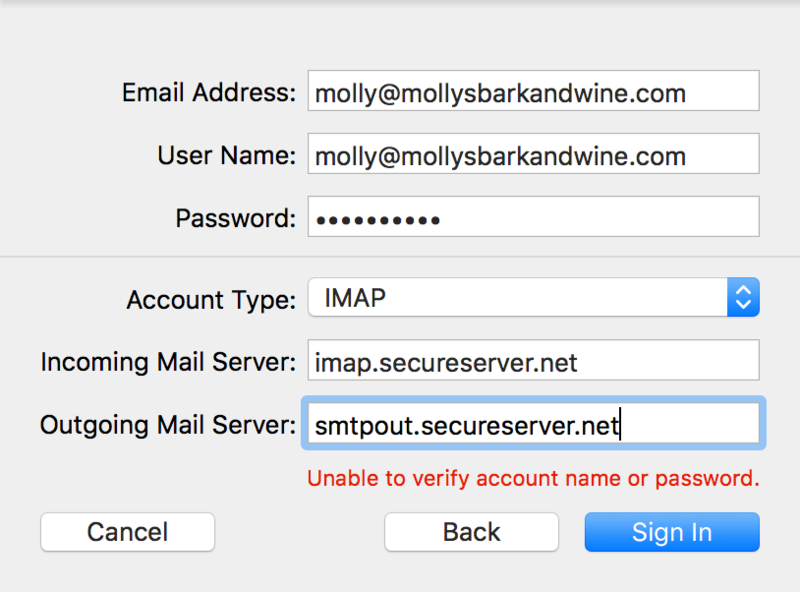 Your next step depends on if you have already set up an email account, or not. If you haven't set up an account, skip to the next step. 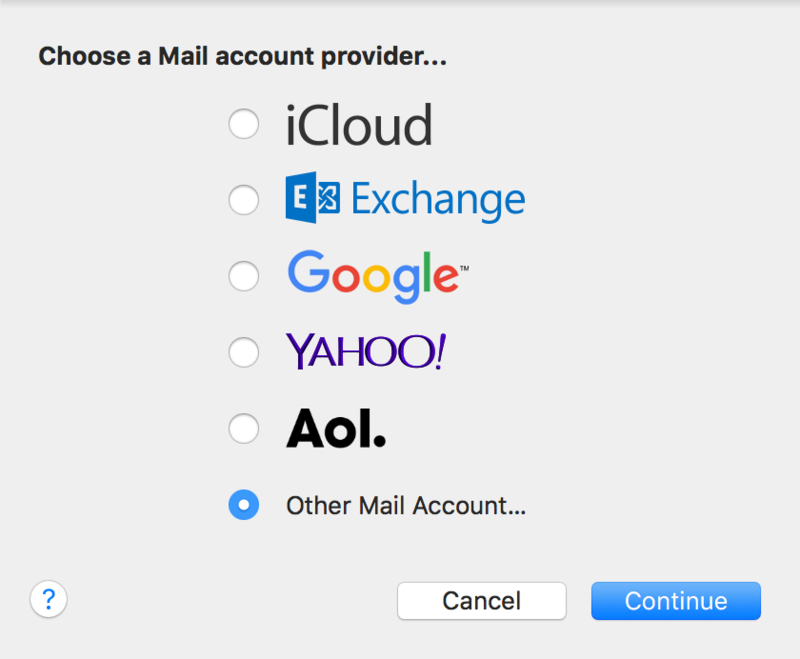 Select Other Mail Account, and click Continue. Full Name Enter the name you want to display to others as the email sender. Email Address Enter your Business Email address. Password Enter your Business Email password. Incoming and Outgoing Mail Server Use the server address for your location. Find your server address, here. Select the apps your want to use with this Business Email account. You must at least check Mail. 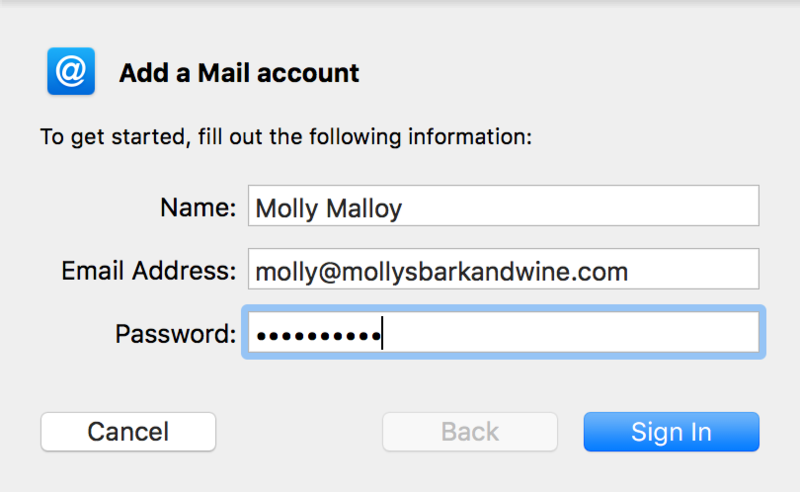 Send yourself a test email to make sure you can send and receive mail in Apple Mail.